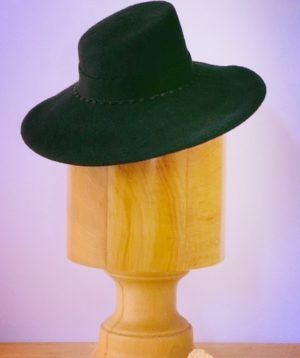 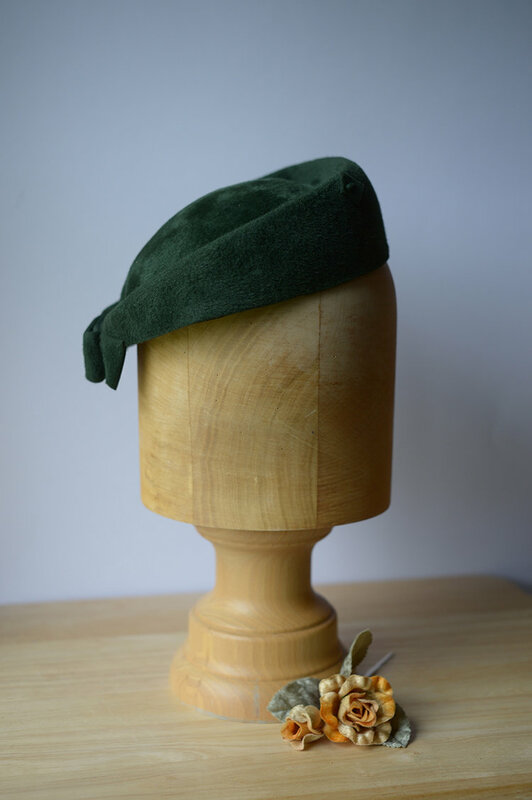 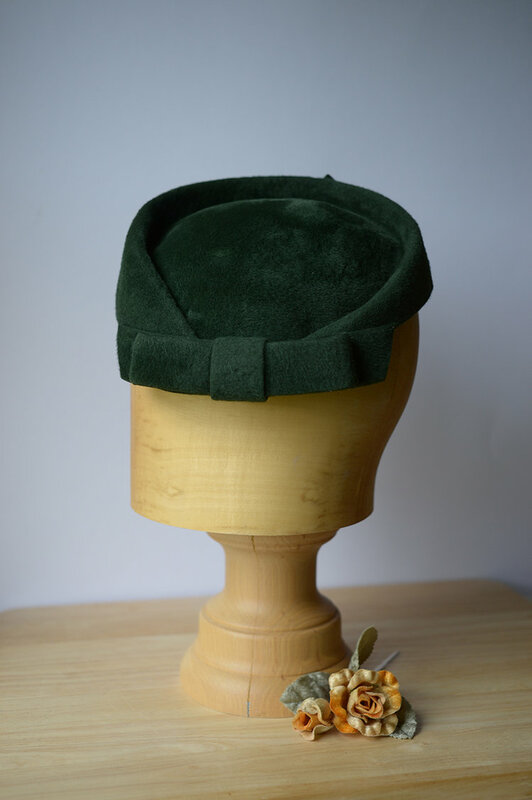 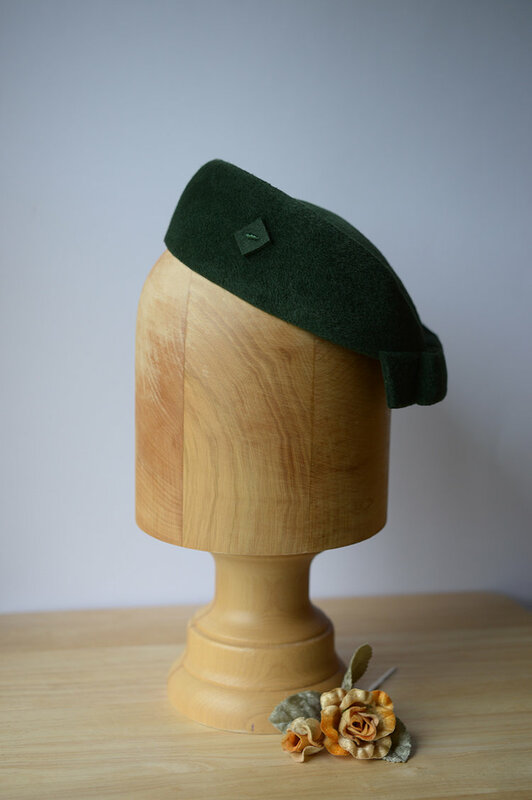 Lovely emerald green brushed felt tilted hat. 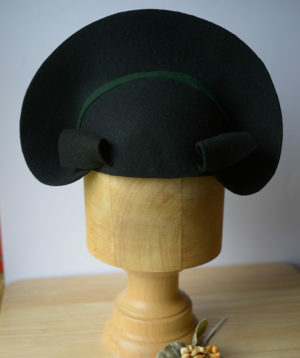 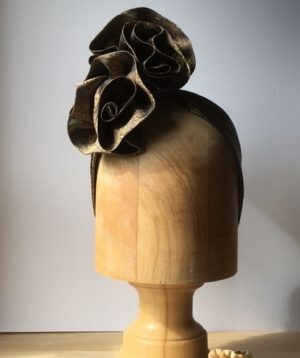 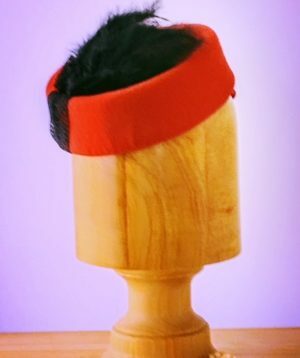 Lined and with hat elastic for secure placement. 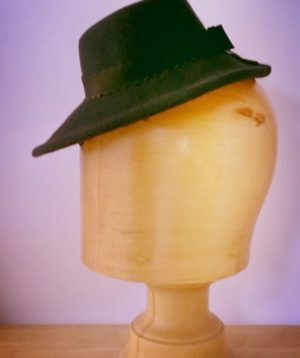 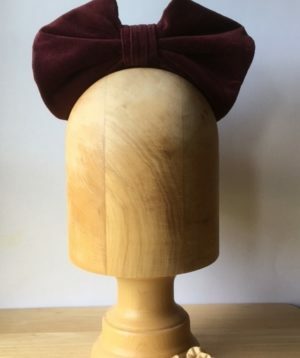 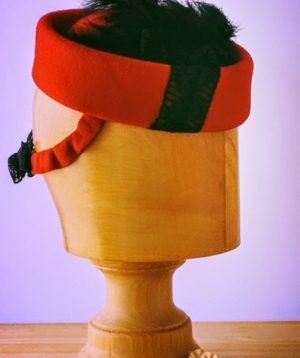 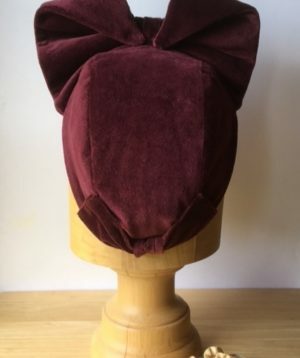 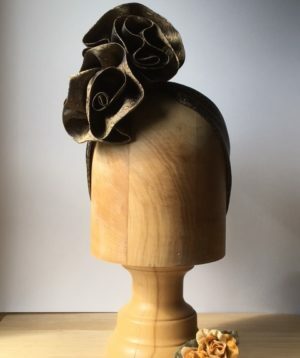 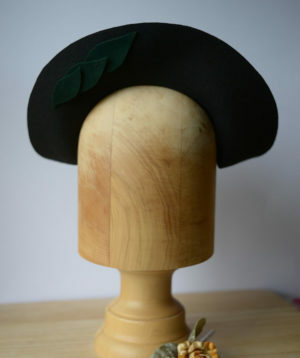 Hat is adorned with small felt diagonal motifs around the brim and a felt bow on left side.